Who doesn't like ice cream? Frozen treats are always a challenge for food-allergy families. For many of us, commercial ice creams are not safe, and we often make our own treats. However, the hard part is most ice cream freezers need either significant freezer real estate and lead time, or specialty ingredients and equipment. 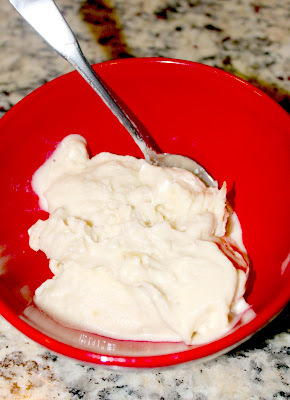 Today, I'm guest posting over at the Kids with Food Allergies Foundation and sharing a recipe for banana "ice cream"! It has one ingredient, four steps, and only needs a 4"x 4" space in the freezer. It's also a very kid-friendly recipe - even a preschooler can help prepare it! It's also a great alternative to banana bread for those lone extra-ripe bananas on the counter. I hope you'll click through to check it out!